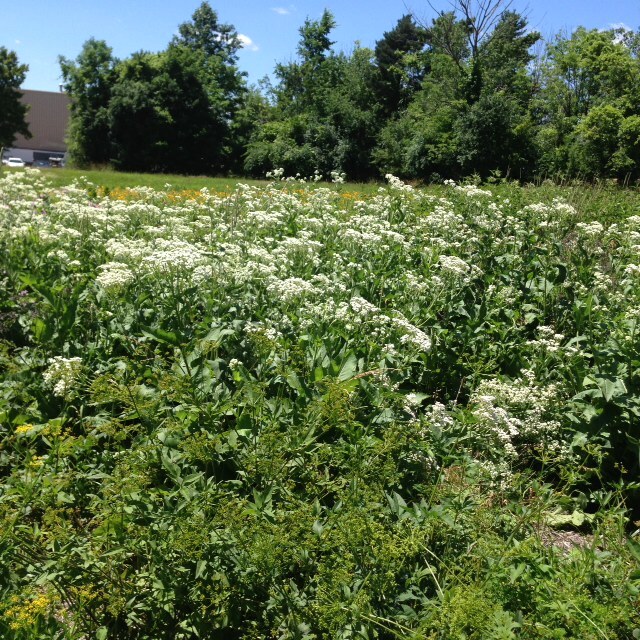 CATCH THE BUZZ – Man Headed to Court Over Natural Landscaping Aimed at Helping Bee Population. Bees sustain our ecosystem and pollinate about a third of everything we eat, but that perfect lawn so many homeowners strive for is causing them harm, Bees are disappearing at an alarming rate because of pesticides, parasites, and loss of habitat. Now, a movement is underway to change the way we landscape so we don’t harm bees. Instead, we attract them. The quintessential American dream: a beautiful home, surrounded by a vibrant green lawn, maybe even a white picket fence. But to achieve our dream homes, we rely on harsh chemicals and pesticides to ward off insects and weeds. A new trend in landscaping is ditching the pesticides, creating quite the buzz in one town in western Massachusetts. “There’s a big trend now of growing food in your front lawn, there’s a big trend now for growing lots of wildflowers. Those two could come together and that is where I think we are headed,” said Tom Sullivan of Pollinators Welcome in Greenfield. He wants to combine this trend of natural landscaping with helping bring back the declining bee population. That is how natural landscaping is gaining some traction, but Steven Bersh’s first year of experimenting with his own pollinator paradise has created some enemies, and not the kind that sting or buzz. “I’d like for him to do what he needs to do as far as his yard goes, but just not here,” said one neighbor. Bersh’s neighbors feel that it’s an eyesore and could become hazardous to public health, especially to the children that walk by on their way to school. Patients at the neighboring dentist office have thought that the land was abandoned. “I don’t really know the specific regulations that I’m abusing but that’s why we have courts,” Bersh said. The town says he has violated section 122 of the state’s public health law and could face a fine if he does not make an effort to tidy up. Pam Kelly and Loren Kramer have successfully created an oasis for bees, other pollinators, and wildlife to prosper in their pesticide-free, all-natural pollinator meadow in their backyard. They understand Bersh’s intent. “He’s obviously learning more and more, but hasn’t quite got it yet,” Kramer said. “I think he’s experimenting and that’s what we did with our back-40, we let it grow to see what happened. And low and behold it’s covered in asters – wild asters – and the bees think it is fabulous.” Kelly said. But why turn their conventional lawn into a bumbling beacon for bees? “We’re very conscious of the fact that we as human beings are on the brink of survival and pollinators are a crucial piece of it. How are we going to get by if we don’t have pollinators pollinating our food crops? Just let me ask you what is going to happen to our seed crops from the elimination of our pollinators? It’s just an insanity, really,” Kelly said. So, where do we draw the line between an eyesore and a billowing meadow? If you are interested in making your own pollinator garden to benefit your local bees and butterflies, you can start small. “No matter how small, a little meadow, in a window box, on the strip between the street and the sidewalk or a garden out front or an L-shaped garden in your front yard,” Sullivan said. A pollinator expert will testify when Bersh faces a judge again at the end of this month.